We have been importing direct from Japan OS Giken clutches for quite some time now since there is no US importer. We pretty much keep one on the shelf at all times (worst case 2-3 weeks), and its one of the single best street, 1/2 mile racing, multi-disc clutches on the planet in the R3C triple disc clutch with the required movement alteration kit. When selecting a clutch for a high powered Supra, there are quite a few options, but when you filter through the various parameters you end up with just a few that can do the job. 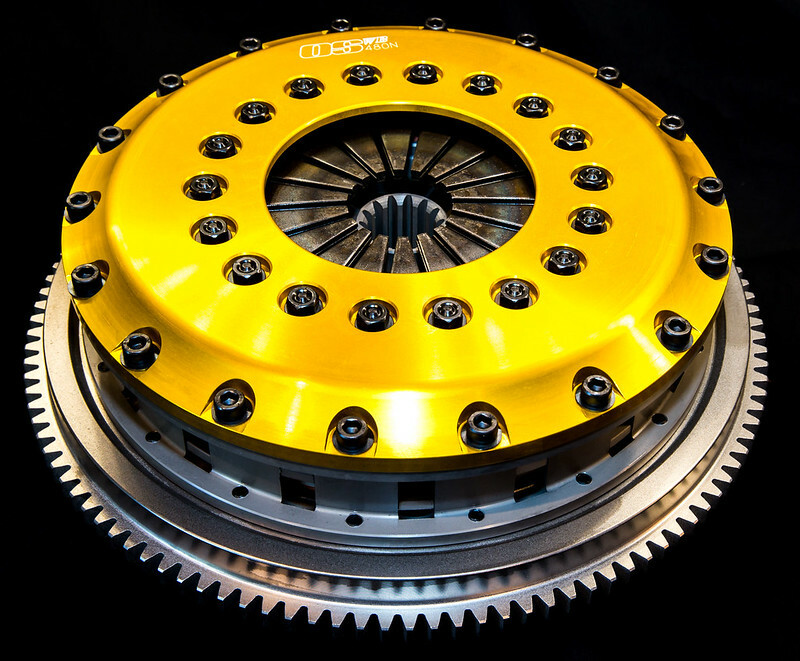 The OS Giken R3C triple disk clutch for the 1993-2002 Toyota Supra (V160/V161) equipped 6 speed cars and is a clutch that is proven to handle 1000HP, 850lb/ft of torque. This is a floating center hub design which minimizes the shock into the transmission, which is very important with a transmission as costly and rare to replace as the V160. Drive-ability of the clutch in a MKIV Supra is good and while it has a firm pedal feel with a lower release point, it does not require a gorilla calve to operate. Most owners state that it typically has a grabby feel for the first 500 miles and then becomes slip-able after that (if need be). The pedal location in relationship to engagement of the clutch is closer to the floor than other clutches. Like most clutches of this nature it takes a bit of time to get used to slipping it, but it becomes second nature. As with most all multi-disk clutches it does have some disk rattle at idle, which is reported to ease significantly over time, but it should be noted. We suggest setting idle around 1000rpm for noise reduction. 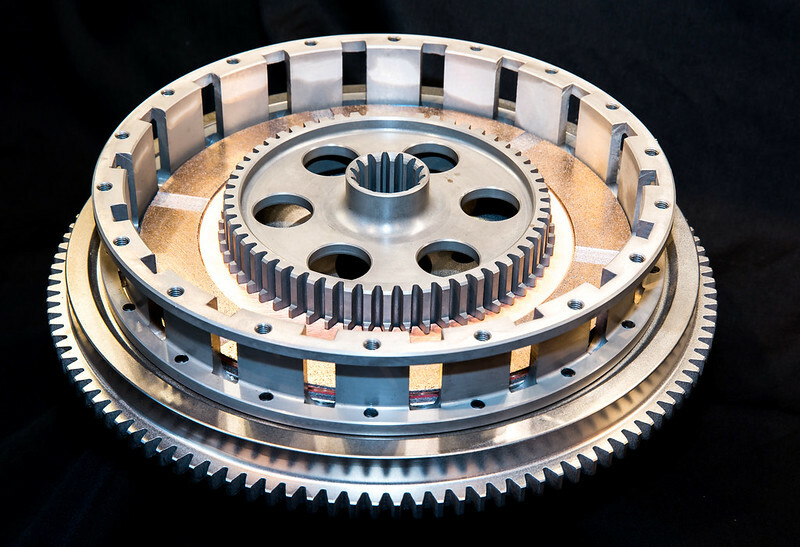 These clutches are great for 1/2 mile racers, ultra-fast street cars and are to have only 'light' drag strip use. 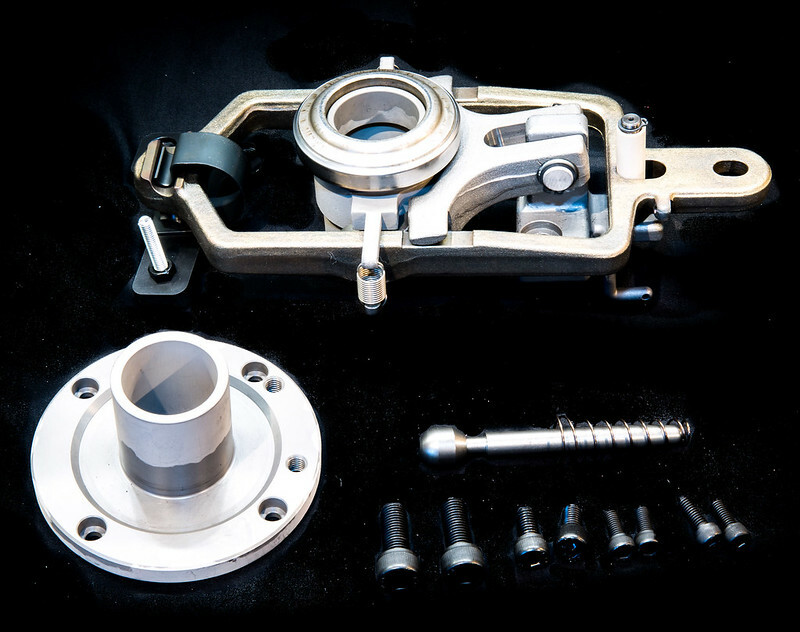 As with any push style clutch you will need to order the pull/push adapter kit (movement alteration kit) along with the complete clutch, which we have included in this price. Factory 6 speed flywheel bolts do not work with this clutch, so you'll need NA Supra flywheel bolts from Toyota or ARP (available from us). When installing this clutch assembly, please note that it is mounted to the engine side, not the transmission as with many other clutches. One of the great things about this clutch vs the CM 850 Twin's (which we love if you have a Supra V160 pro installing) is that you aren't guessing on shims (washers) to get the fitment/release/performance right, as it installs straight out of the box perfect. 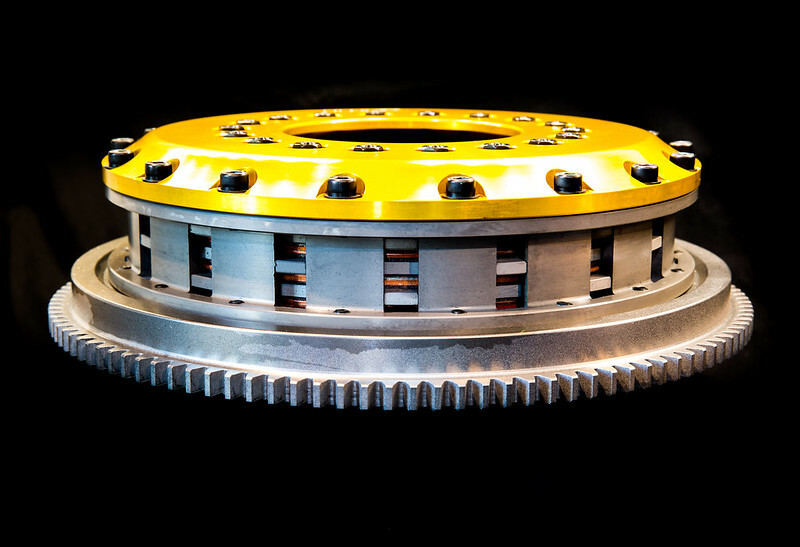 Pictures are of the actual clutch we provided to D. Tanner.This is a stunning masterpiece of engineering and design. Call us at 800.717.3050 or email to get this one. Online Purchase Link: http://www.suprastore.com/osgirc3cltos.html Please note the pricing is slightly higher online, so simply make a note in the comments section of the order form and we will honor the $2599 price (clutch and movement kit, free ship lower 48). We are selling these as fast as we can get them with the in-stock unit shipped today. Highly recommended clutch assembly for those with big torque and hp cars. Got one for an R34 I'm building and it truly is a work of art. Almost feel bad installing it where it will never be seen! Strong vouch for the quality and finish, it is quite simply top-notch. We try and keep one in stock at all times and have been shipping as many as we can get with the most recent set sent out today to S. Africa. 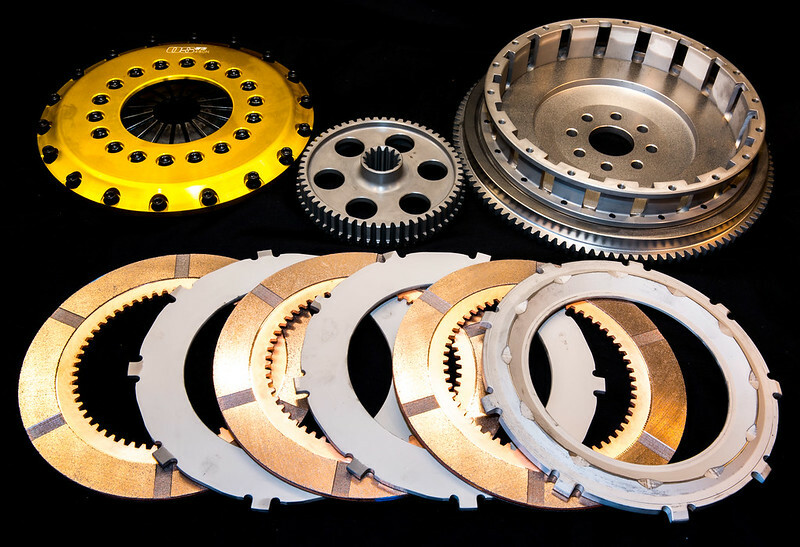 We are typically never more than 2-3 weeks out on one, so if anyone is in need of a world class clutch assembly or even the Quad disc, let our team know. How's the drivability of the quad-disk? I've driven a couple different cars with the triple, but never the quad. Is it slippable, or super snappy pick-up? I'll be the first to admit that I stalled the first R34 I drove with an OSG triple. I knew I was in for a challenge when I heard the rattling at idle in neutral, but the softness of the pedal relative to the engagement point caught me squarely off guard. I bet the quad is a trip! We've just received another R3C OS Giken Triple Disc Clutch with movement kit and ARP flywheel bolts, ready to ship for $2799 + freight. We ship these anywhere in the world. Have one in my Supra as well. Big +1. Do you not recommend this clutch at all (even occasionally) for drag strip use on a 6-speed car using a 28" slick setup? If not the R3C triple disk, is there any OS Giken clutch that you would recommend or feel confident in using at the drag strip with slicks? The reason I ask is because I sent an email to OS Giken directly, asking what clutch they would recommended for drag strip use on a manual car using slicks at 800whp/700wtq and they replied back stating the R3C triple disk would be the best option. You can run the R3C at the strip occasionally, the only issue is when the discs heat up too much if you slip it hard, at which time the clutch can hang up and not release until it cools down, other than that, you are fine. I find this interesting. Does a hard launch create that much more heat then a car making laps on a a road course? I feel like the quick slip on a launch shouldn't be that bad. When I talked to osg directly I asked the same things. If it would be good for drag as well or does slipping it hurt it. They told me it's meant to be driven hard and raced so it will hold up fine. Now I have an Osg quad and 28" mt slicks. It's more of a street car than anything but I'm gonna be annoyed if I start having issues with it. Clutch is new and the v160 is fresh also. Hard slipping on a drag strip on slicks put a far great frictional load then any road race environment, especially when the disc compounds are not optimized for such. The OS clutches are fantastic and I used one in my 192 mph 1/2 QS car to perfection, but no real slippage, but unlike Tilton and RPS they are not designed for hard slippage which is really required to properly launch a 6 speed car. Bingo. If you dont want problems then get a carbon clutch. Regular non carbon discs arnt meant for that kind of slip. Hence why my suckmasters 850fx didnt last. They leave no room for trail and error. We did sell the last remaining one in inventory and it was a great deal for an incredibly robust and performing clutch assembly from a world-class builder of clutch assemblies. Next batch is 4-5 weeks out. Hello. Any inventory in stock? Thanks!